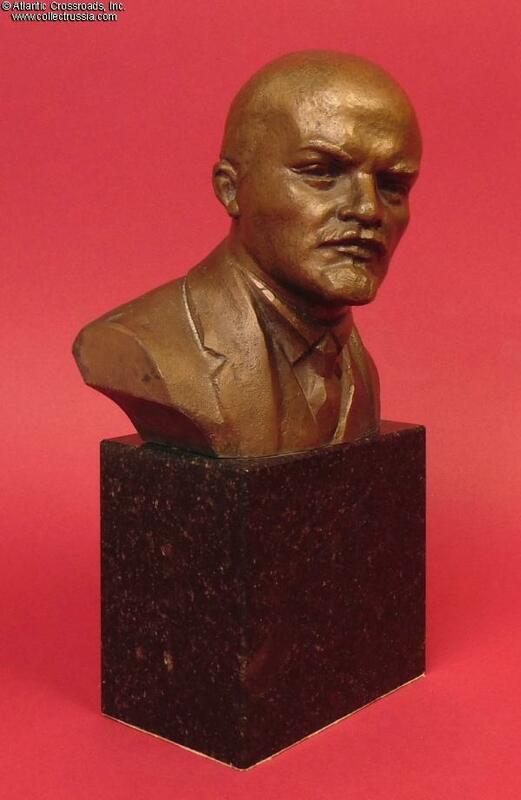 Solid Bronze Bust of Lenin on a Marble Plinth, circa 1950s- 60s. 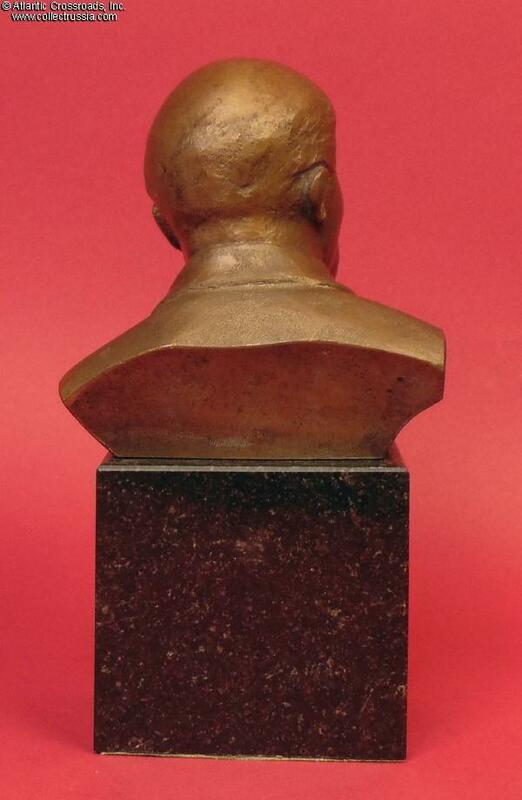 Stands 10 ¾ " in overall height; the bronze bust is 5 ½ " tall and 5 " wide at the shoulder. The marble base measures 4 ¼ " x 2 ¾ " at the bottom and is 4" in height. The entire ensemble is incredibly heavy: it tips the scales at well over 11 lb! 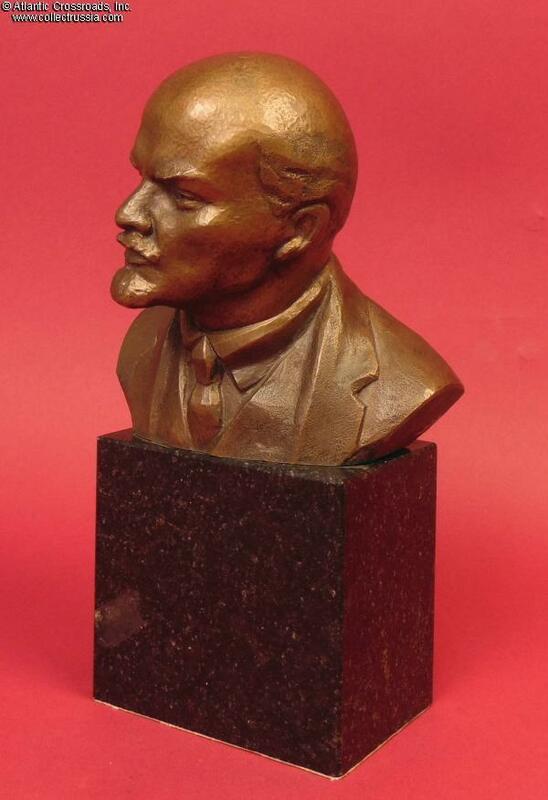 The marble pedestal has factory-applied soft pad at the bottom to protect the surface on which it stands. 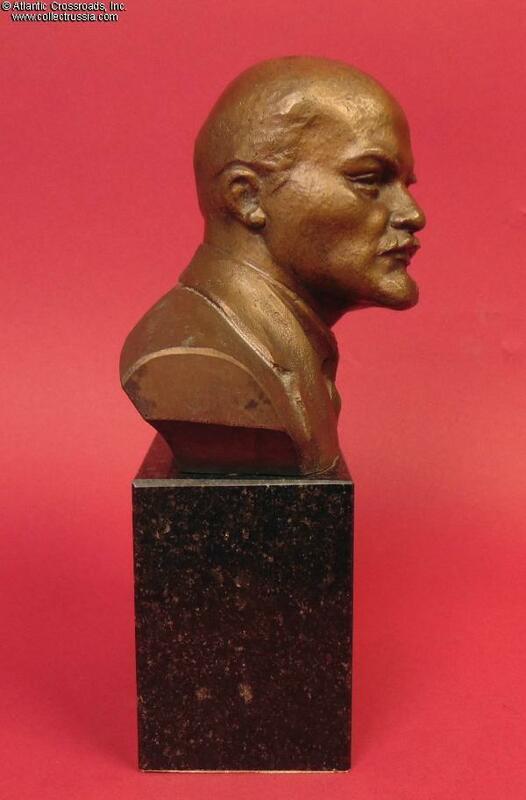 The use of expensive materials such as solid bronze and especially marble was highly uncommon at the time. 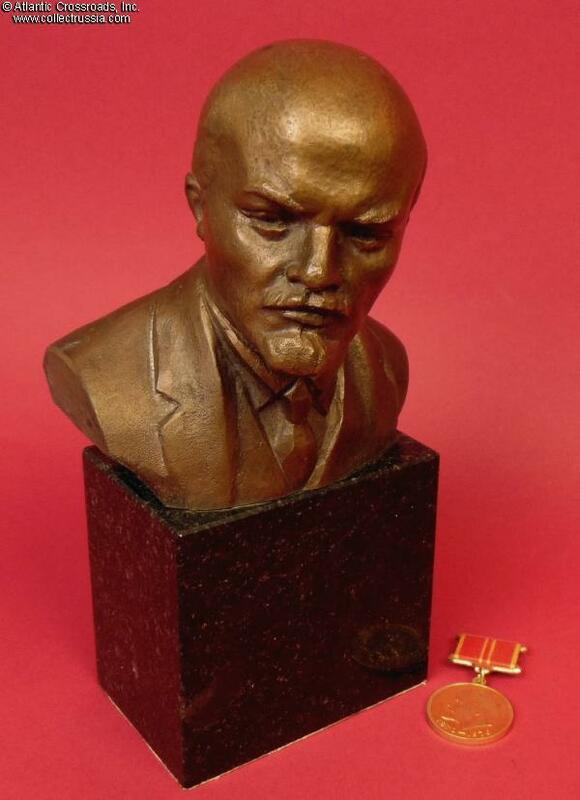 The "deluxe" version of Lenin's bust would be reserved for only selected few high officials, and its presence in the office undoubtedly was to send a message of just how important was the present occupant of this office. 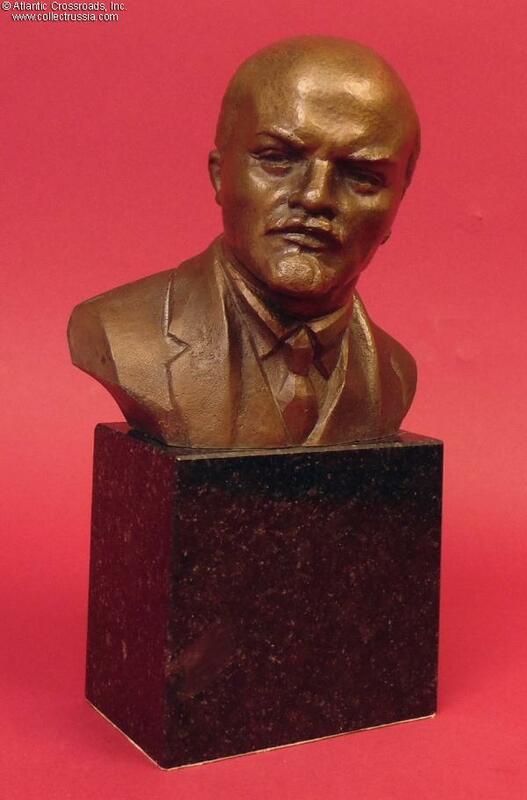 It is perhaps ironic but not surprising that the image of the creator of the world's first "all men are equal" communist state was used to telegraph class distinctions.